Land area: 59.321 sq. kms. 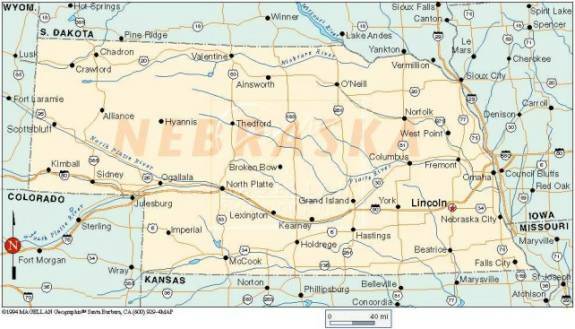 Covington is situated on the Missouri River, five miles north of Dakota City, and directly opposite Sioux City, Iowa. It was first taken as a town site by the old Sioux City Company, of which J. K. Cook was President. 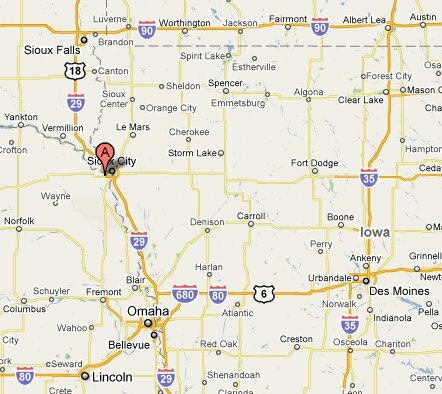 It was laid out and called Harney City, after Gen. Harney, who at the time was in charge of the troops in the vicinity. In 1856 the town site was jumped by a company composed of Gustave Pecant, Thomas L. Griffey, J. Ludwig, William Rapp, --- Culver, --- Betts, --- White and --- Copelan, and called Newport, but before electing town officers, the name was changed to Covington. After organization, the lots were deeded to the members of the company by Thomas L. Griffey, as Chairman of the Board of Trustees. The first settler in this vicinity was Gustave Pecant, in 1856; who with John Feenan, James Farrell, John Stranney, D. Caughlin and James McKinney, were among the first settlers in the town of Covington; and the first settlers in the immediate vicinity were James Stott, Dr. Pinkerton, J. Fitzpatrick, William Farrell, Eugene L. Wilbur, R. R. Kirkpatrick, and C. D. Martin, all in 1856. C. D. Martin, on the 11th of September of this year, moved into his log cabin, adjacent to the town, which in 1881, is still standing. In the ensuing winter, he ran a hand shingle factory, employing four men, making cottonwood shingles, which sold for $7 per 1,000, and in the fall of 1858, R. R. Kirkpatrick built a steam mill for the exclusive grinding of corn meal. The first school taught in Covington was by Miss Mary Pinkerton, sister of Dr. Pinkerton, and the first preaching was by Rev. Thomas M. Chestnut, a Presbyterian clergyman, of Sioux City, each alternate Sunday. The Methodists built the first church edifice here in 1871. Covington is the northern terminus of the Omaha division of the Chicago, St. Paul, Minneapolis & Omaha Railroad, and also of the Ponca, and of the Norfolk branch of the same road. It contains one grocery store, one blacksmith shop, one drug store, one school building, two hotels, two physicians, and four church organizations, all of which use the only church building in the town, which belongs to the Methodists. The village contains about one hundred and seventy-five inhabitants. The first child born in Covington was John Quinn, in 1857. The first marriage was that of John Feenan to Miss Margaret Boyle, in the same year, and the first death was that of an old man, found dead near the river. Elk Valley is located between the two branches of the railroad, about five miles west of Hubbard, and eight miles north of Emerson. There is here only a post office, J. M. Winter being Postmaster. The first railroad built in Dakota County was the Covington, Columbus & Black Hills Railroad, in 1876. The gauge was three feet six inches. The county voted bonds to the amount of $95,000, which were given to the company on the completion of its contract, viz. : The building of the road from Covington to the northern boundary line, a distance of twenty-two and a quarter miles. In the fall of 1880 the Chicago, St. .Paul, Minneapolis & Omaha Railroad Company completed its line to Cobrom Junction, five miles west of Dakota City, and having in the meantime purchased the Covington, Columbus & Black Hills Railroad, and changed it to a standard gauge. The purchasing company now has thirty-eight miles of railroad in the county, valued at $384,000. The 18-hole "Covington Links" course at the Covington Links Golf Course facility in South Sioux City, Nebraska features 5,977 yards of golf from the longest tees for a par of 71. The course rating is 68.8 and it has a slope rating of 130. Designed by Martin Johnson, the Covington Links golf course opened in 1977. Bobbi Johnson manages the course as the General Manager.